In June 2013 we went back into the studio for three more sessions to finish off the album. Here is the story behind how the songs “Fighting Demons”, “Little Brother” and “Stop the Rain” came into being. For this session, I was very happy to welcome back the Whitesnake bassist Neil Murray and drummer-friend Nick Rhodes to the Cowshed studio. 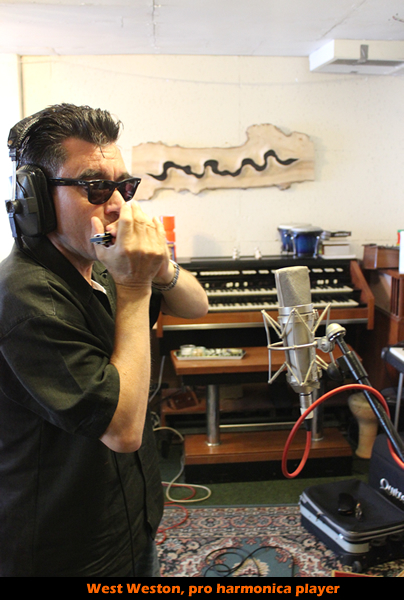 So, with myself on guitars and vocals, we started to record the backing tracks as a three-piece, before the harmonica player West Weston came in later to do some incredible harp overdubs. All songs are original material written by yours truly, except “Can’t Stop the Rain” which is written by Manny Charlton - the Nazareth guitarist / songwriter. This is a previously unreleased Manny Charlton song, and it is a great honor to be the first band to record and release this track. I used an acoustic guitar which I borrowed from the engineer Nick Trepka. This guitar had a lovely ring to it, and was recorded with a mic in front of the guitar (as opposed to through an amplifier). The electric guitar was another borrowed guitar from the Cowshed Studio – a Squier / Fender Telecaster, played through Cowshed's Laney AOR (all valve) guitar amplifier. The guitar sound achieved on “Can’t Stop the Rain” is a story on its own, being recorded with a microphone placed one meter away from the amplifier, and another microphone placed even further away, thus creating a natural reverb - capturing the “room sound” at the Cowshed studio. West Weston played a few different harmonicas on the album – there is one set of harmonicas which he favors for “electric” sounds when played through an amplifier, and one which was recorded acoustically through a microphone. You can hear the electric harmonicas on “Mean ol Frisco”, “Fighting Demons” and “Stop The Rain”, whilst the acoustic “sitting-round-the-campfire-type” harmonica was used on “Little Brother”. West Weston was particularly pleased with the amplifier sound he got on this record. I unfortunately forgot to write down the name of the amplifier, but is a great little amp which lend itself for recording studio situations especially, though probably a bit too small for live-situations. 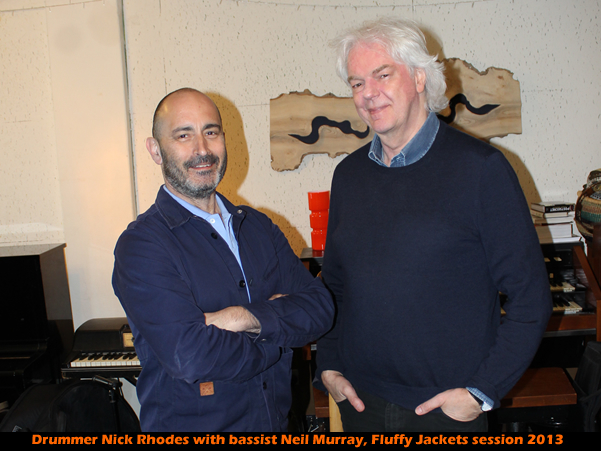 Neil Murray played his Fender Precision bass on this session plugged into a Marshall amp and cabinet, whilst Nick Rhodes played through a Ludwig drum set. 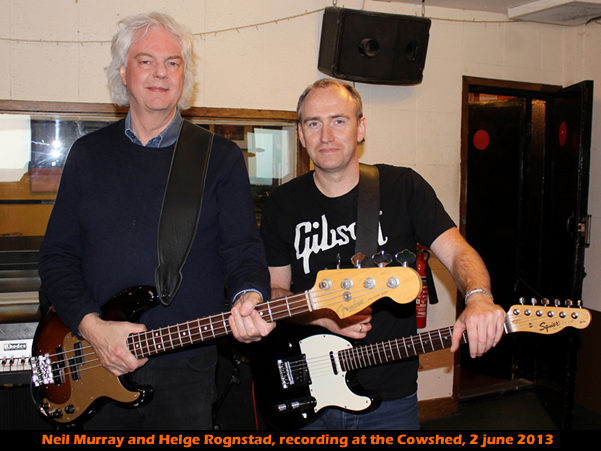 As the previous Cowshed session, all songs were recorded live in the studio with all musicians playing together. The songs were recorded on a 24 track Otari MX-80 analogue tape recorder. Though the vocals and guitars were recorded at the same time, so-called “guide vocals/ guitars”, these were then overdubbed later –on the same analogue tape machine. The songs were completed over 3 days in the studio. We recorded all basic tracks with guide vocals and guitars on the 3rd of June 2013, whilst the guitar and vocal overdubs was done on the 10th of June, before we did the harmonica and some additional vocal overdubs on the 15th of June. The tape was subsequently transferred to digital for mix-down, and mixed very quickly in a day after the recordings. Prior to the recording, I would send some basic demos (consisting of me playing and acoustic guitar and singing – without drums/bass) so that the musicians would have some time to prepare for the session. Even so, it always amazes me how quickly we seem to nail the tracks – without having even played them together before. “Little brother” took perhaps 3-4 takes, “Fighting Demos” took around 6 takes as we changed the ending a bit. Manny Charlton’s “Can’t Stop The Rain” was changed drastically in the studio - to the format you hear on the record. Once we decided on the right format this was done in 2-3 takes. –There were minimal errors in the final live recordings – I think Neil did just one overdub whilst Nick Rhodes added a couple of drum overdubs, for example the great cowbell you hear in the solo on “Can’t stop the rain”. Fighting Demons and Little Brother was done after a click-track to keep the rhythm, whilst “Cant Stop The Rain” was jammed live in the studio without any time-keeping help. In terms of the overdub sessions, I was really happy with my slide and acoustic guitars on Fighting Demons, and the hand/knee clapping which Joe Leach and I added to the chorus-bits. This track ended up exactly how I wanted it to sound. I am also proud of the mandolin-type playing and acoustic picking on Little Brother Smile. We also recorded some harmony vocals on “Fighting Demons” and “Little Brother” which I think fits the song nicely – these vocal parts were thought out by the excellent engineer Nick Trepka and West Weston. The electric guitar you hear on “Can’t Stop The Rain” was recorded in one single take. I also recorded some guitar solo overdubs – but ended up ditched them, even though the engineer thought it sounded better with them. However, my feeling was that the harmonica needed some “space” to breathe in the song. The harmonica player West Weston is a very musical guy who really added some special magic to these songs. I particularly like his heartfelt solo on “Fighting Demons” and also the amazing blues jam on “Can’t Stop The Rain”. We also recorded the duet vocals with West Weston and harmonica on “Mean ol Frisco” on this session and he did a really good job on it. West also sings backing vocals on “Little Brother” in addition to his “campfire-country” style harmonica on that track. Co-Engineered by Joe Leach and Nick Trepka. Produced by Helge Rognstad.